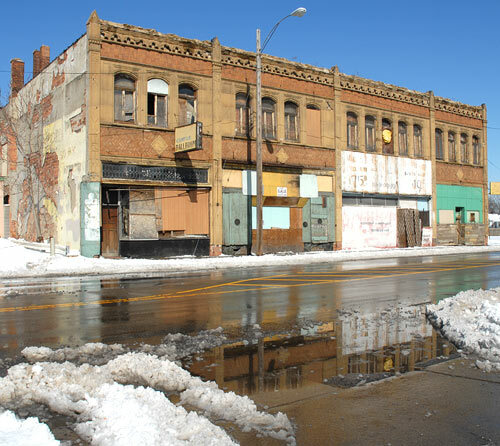 Sun, snow and the wet streets of a thaw magnify the sad beauty of this commercial strip on Fenkell just east of Livernois. Even the shell of a former party story glistens still advertising it tempting vices of Liquor, beer, wine, fat and gambling. 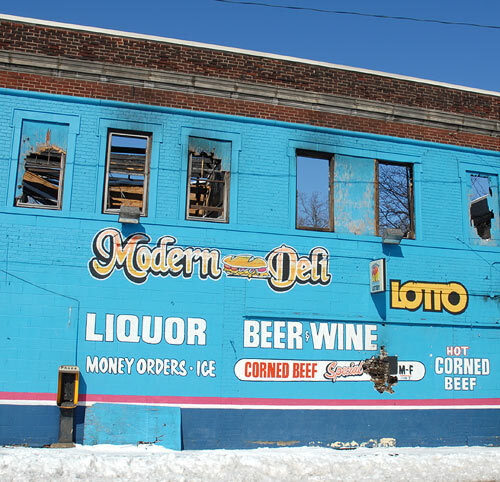 PREVIOUS TOUR: "Icy Day in Detroit"